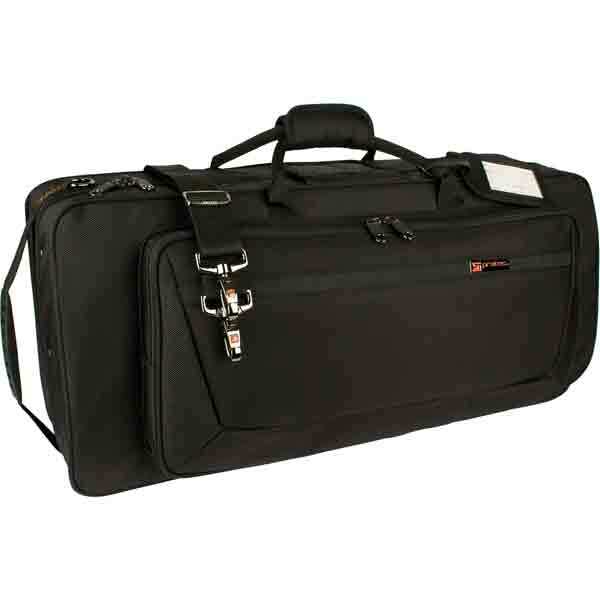 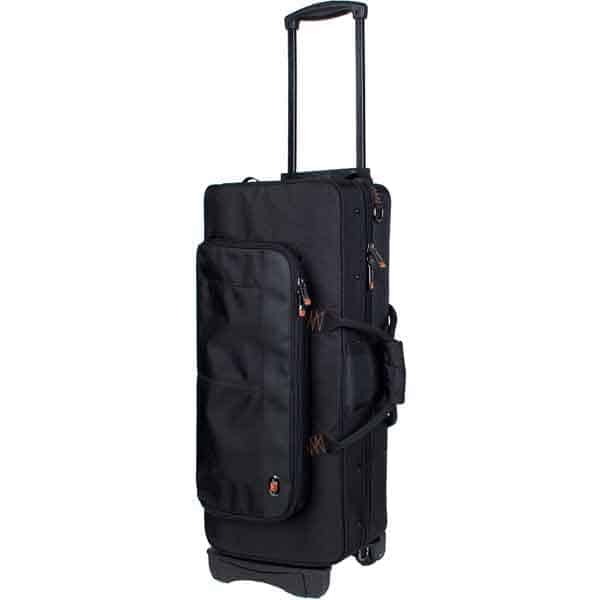 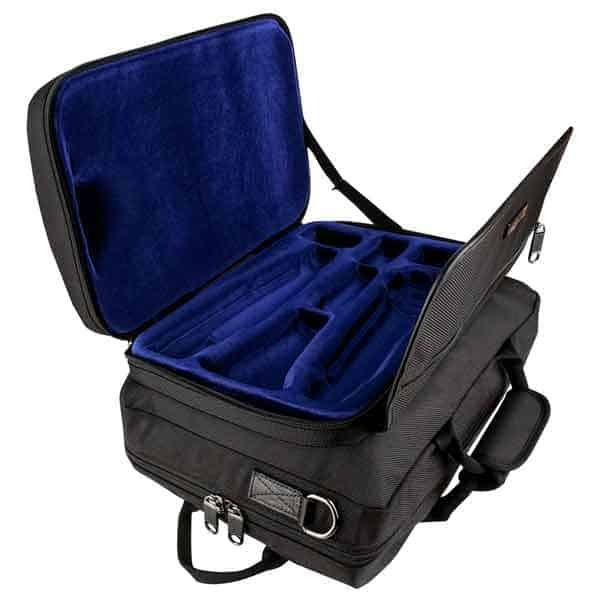 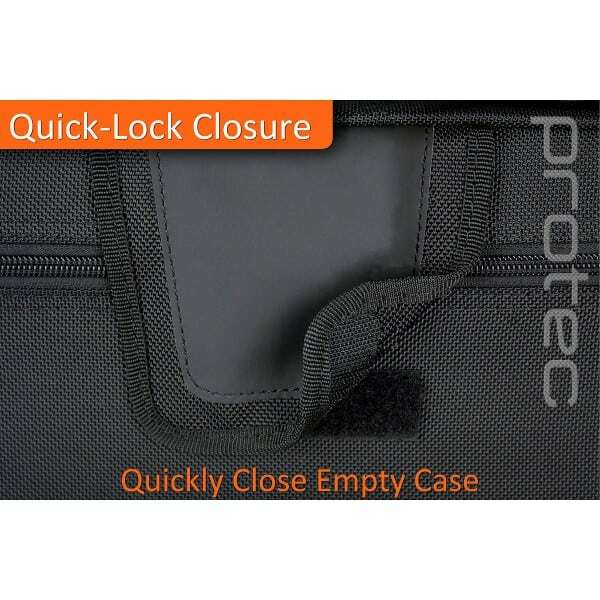 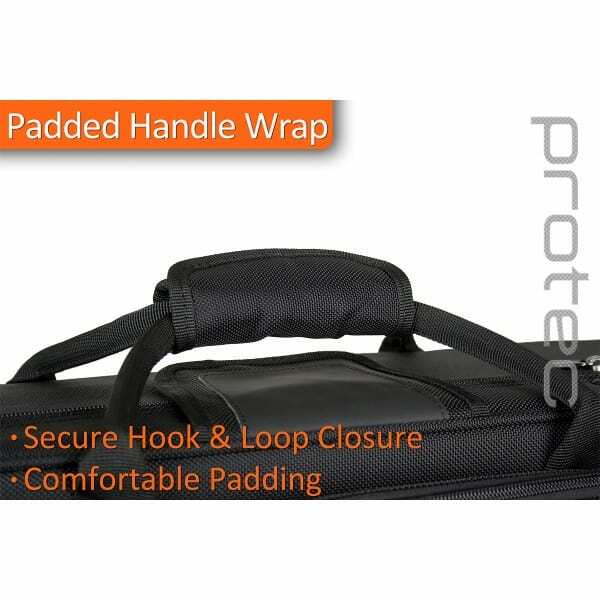 Protec’s TRI-PAC case accommodates an alto saxophone, flute (B or C foot), and a Bb clarinet in a compact slim design. 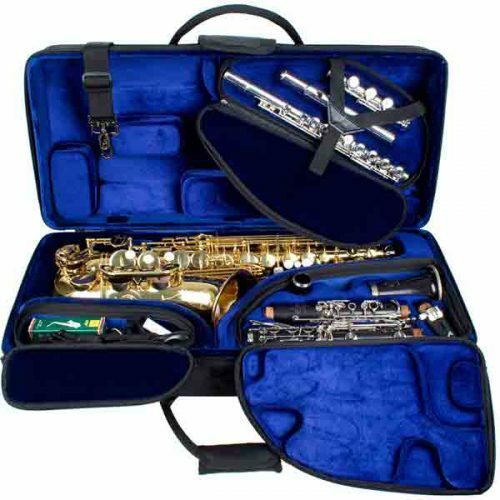 The removable flute and clarinet sections feature molded interiors, soft velvet lining, and secure zippered closures. 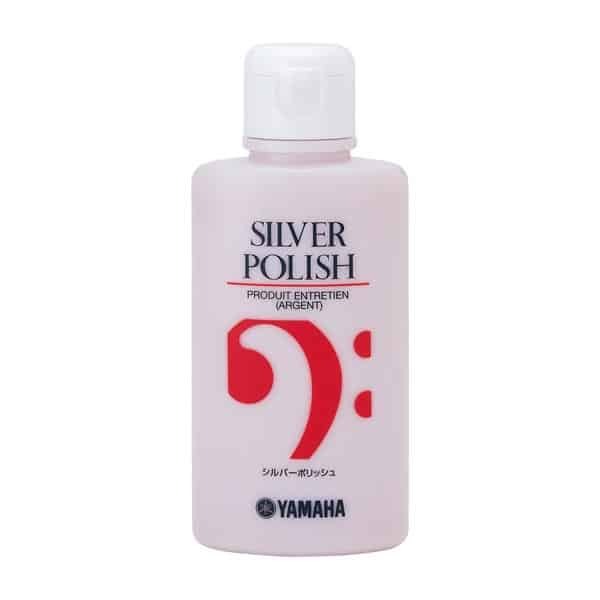 The molded alto saxophone section is lined with beautiful padded velvet to safely protect the horn. 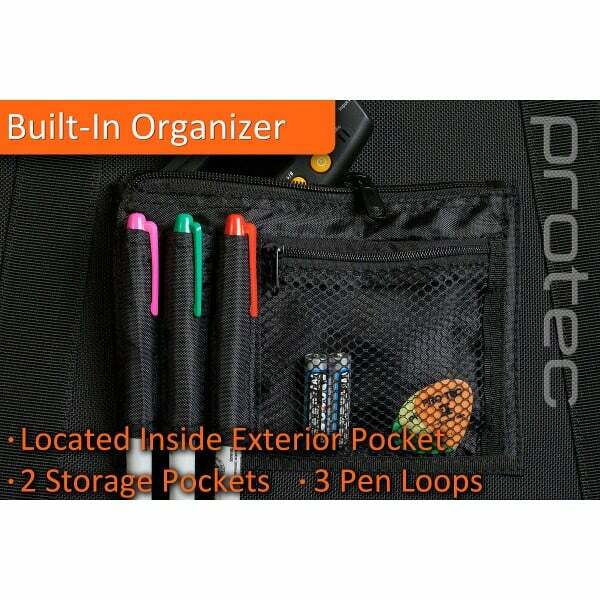 An interior removable storage section offers more storage—perfect for reeds, tools, cloths, lubricants, and other accessories. 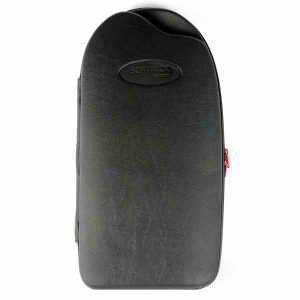 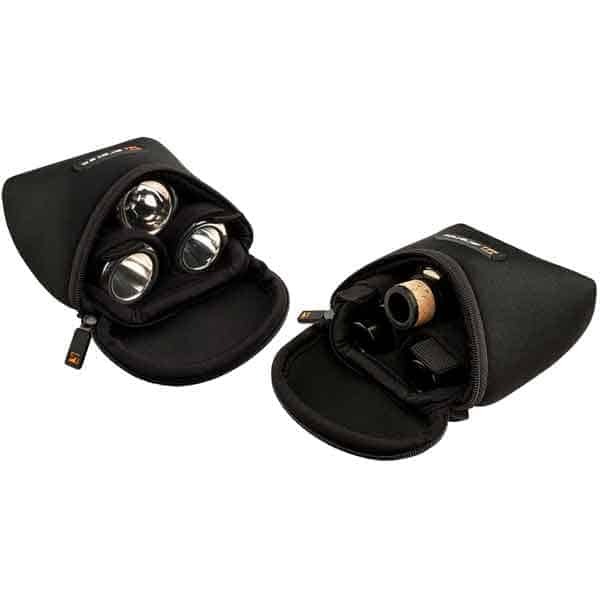 A space-saving padded neck and mouthpiece pouch that safely fits into the bell is also included. 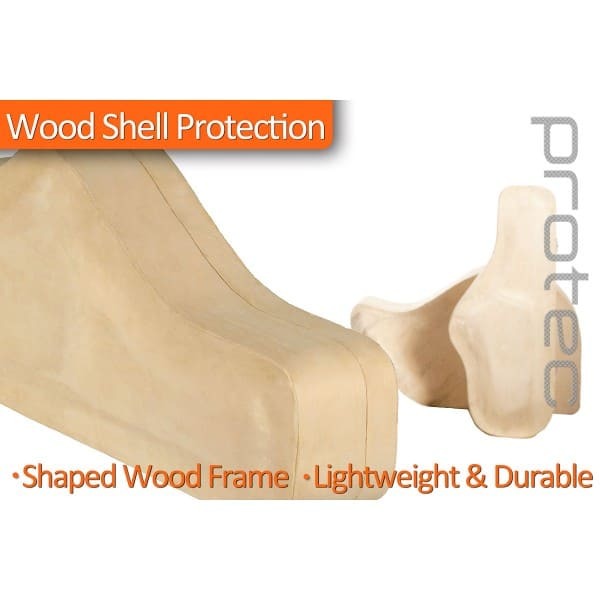 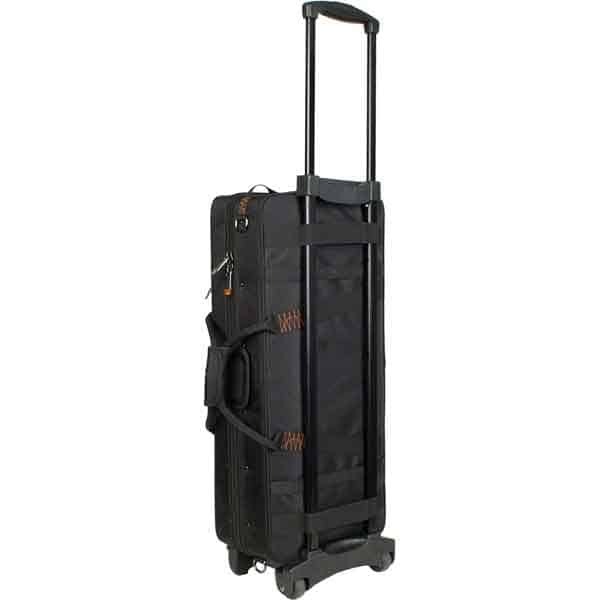 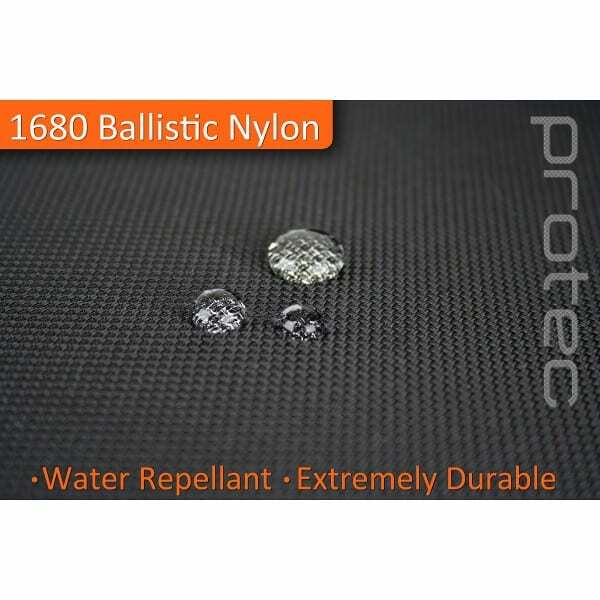 The exterior features a strong wood frame with a padded water-resistant 1680 ballistic nylon cover. 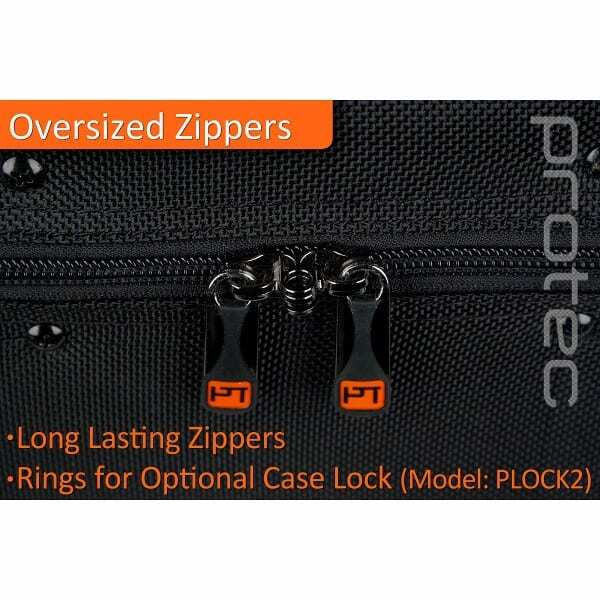 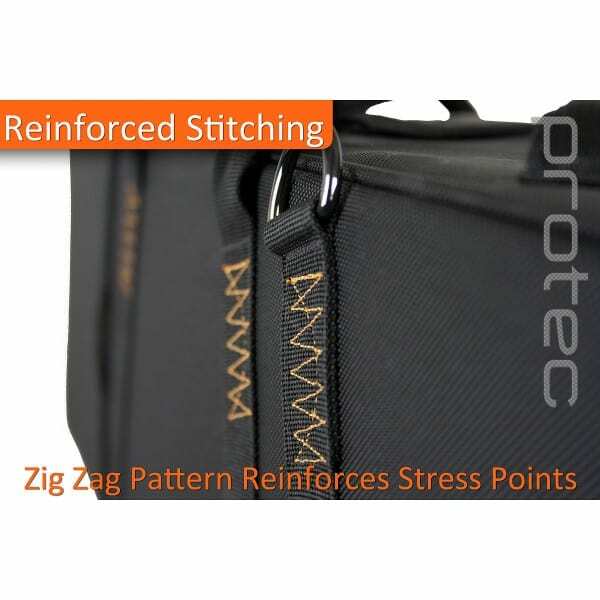 Other exterior features include a large storage pocket with built-in organizer, metal hardware, smooth oversized zippers, and a padded shoulder strap. 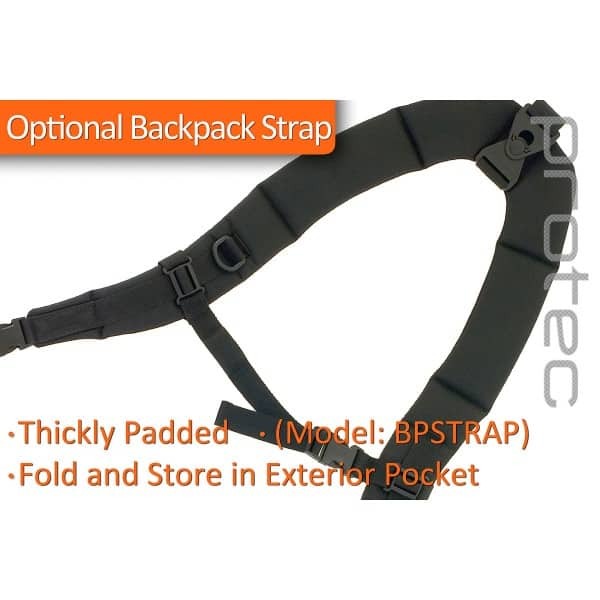 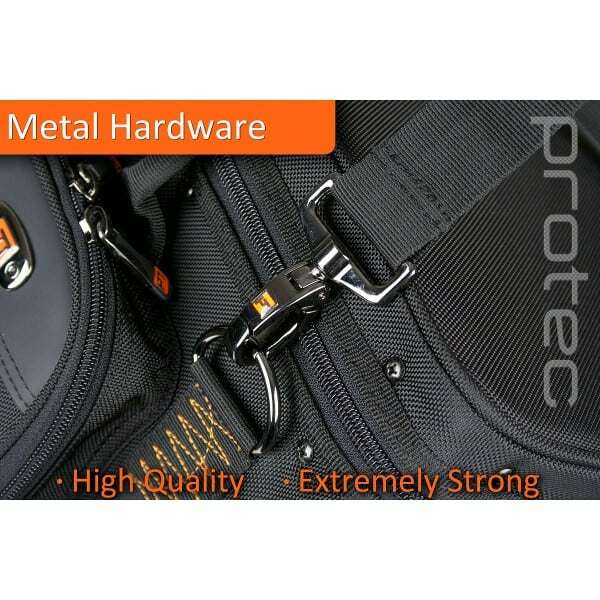 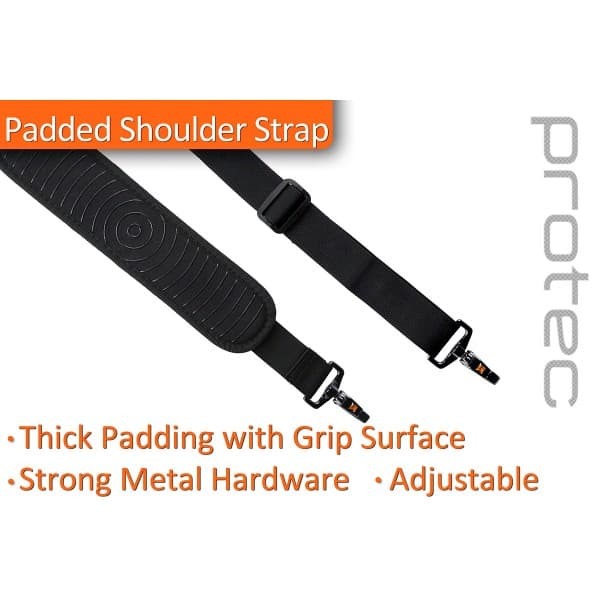 The TRI-PAC is compatible with both Protec’s Optional Backpack Strap (model # BPSTRAP) and Trolley featuring a telescoping handle and wide wheels (model # T1).